The last harvesting of fruit will be coming in in the coming weeks and though I am freezing as much as I can in our freezer in our rental, I am also trying to put to use some of the gorgeous fruit I drive past every day up and down the peninsula we live on. 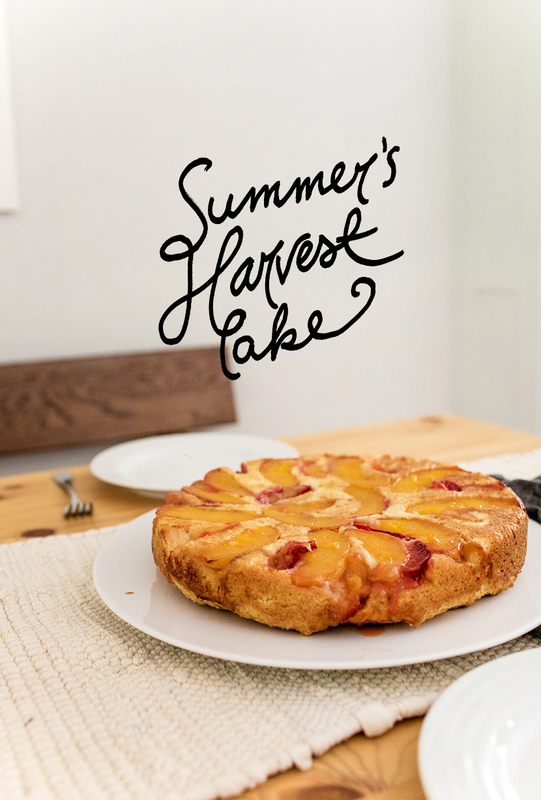 So this weekend, I set out to find a way to make a yummy dessert for the week. 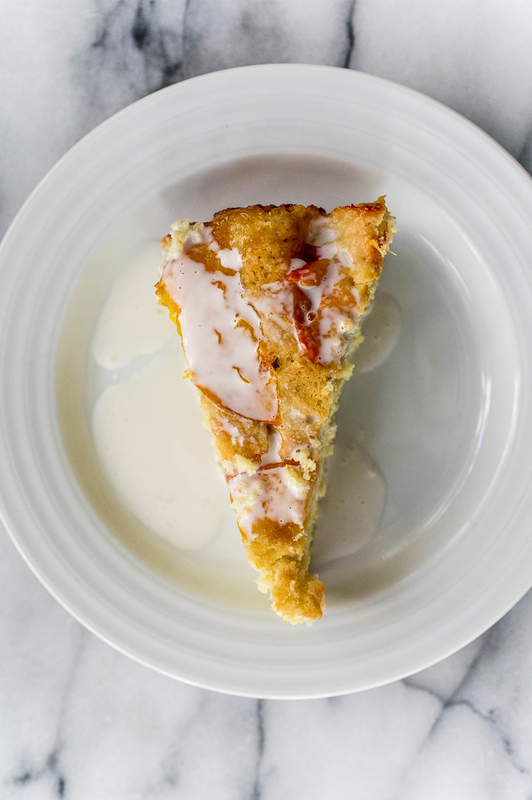 Something that could be eaten for breakfast or for a late night snack when the craving hit. That is when I came across this cake from Diethood on Pinterest. 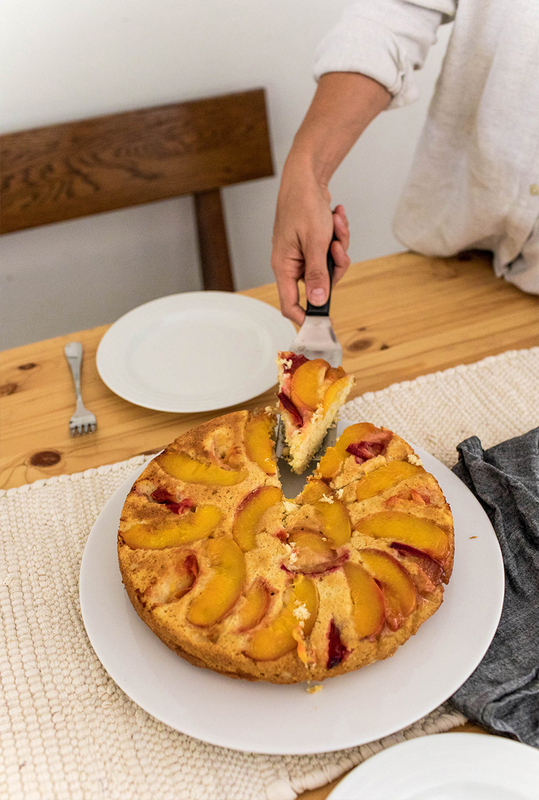 The idea of a Ricotta cake with peaches and plums just was too good not to play with. So I drive down the peninsula and picked up some fresh fruit from a farmer. I dropped payment in a cash box and drove home to tackle this dessert. I ended up making some adjustments to the cake to accommodate what I was doing so I thought I would share it so you could enjoy this. This would be wonderful as either a cake to serve on a Saturday morning or in the evening with cake. It isn’t too sweet or too heavy. It is perfect! One note about this recipe is that, the batter isn’t going to be runny. It will be thicker. This is why I ended up doubling the recipe. I also used a standard 10-inch round cake pan for the cake as well. ONE: Grease your pan with some coconut oil. I covered the bottom and the sides. I then lined the bottom of the pan with a piece of parchment paper to ensure the cake would easily come out of the pan without an issue. 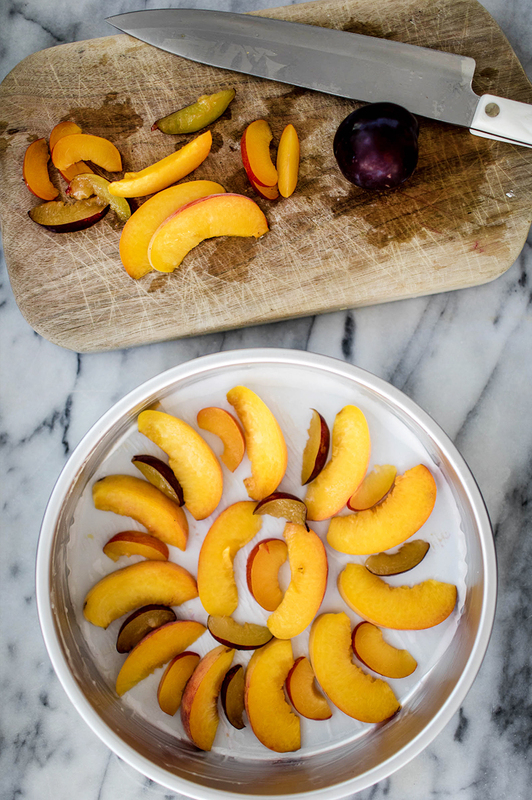 THREE: Slice the peaches and plums and create a pattern on the bottom of the pan. Remember this is what you will see on the cake so have fun. FOUR: In a small bowl mix the cornstarch and lemon juice together and then drizzle over the fruit. Finish by sprinkling them with brown sugar. SIX: In another bowl or your Mixer’s bowl (I used a hand mixer) cream the butter and sugar until well combined. SEVEN: Once combined, add your eggs and beat until they are well combined. EIGHT: Add the lemon zest, vanilla, and ricotta. NINE: Next combine the flour/dry ingredients with the wet ingredients till thick and sticking together well. 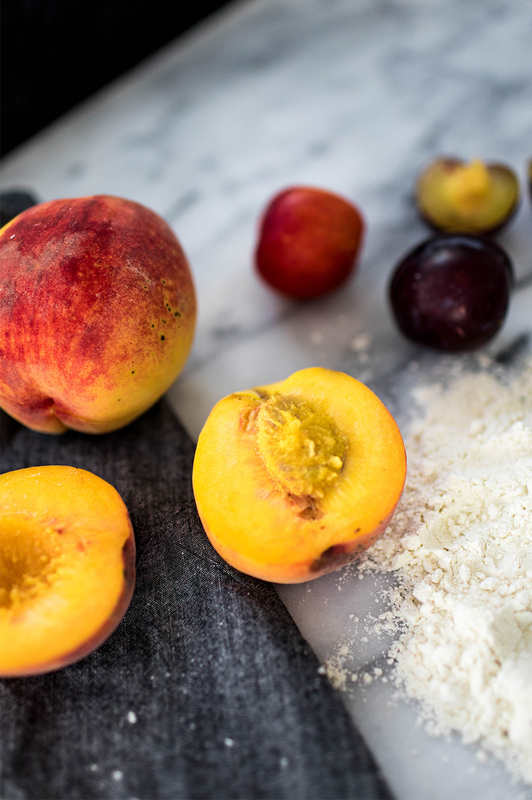 TEN: Spread the batter over the peaches and plums very gently to retain your pattern. I had to use two spatulas to do this effectively. ELEVEN: Place the cake in the oven and bake for at least 30 minutes. Mine went for 40 minutes till it was well done. 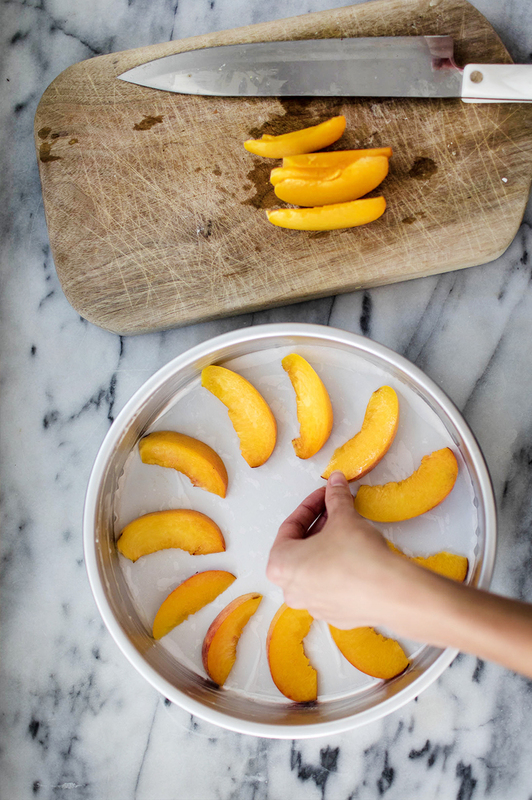 TWELVE: Allow the cake to cool and then flip onto a platter so the peaches are on top. Then slowly remove the parchment paper. I used a knife to pull the fruit off and it worked great. 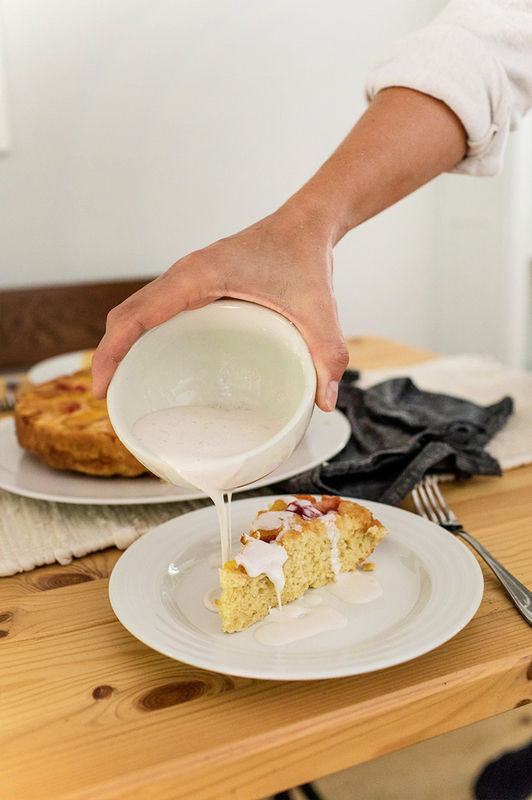 THIRTEEN: You can serve the cake with nearly anything on top, but we did it with coconut milk and powder sugar mixed together and drizzled over the cut pieces. You could also simply sprinkle with powdered sugar as well. 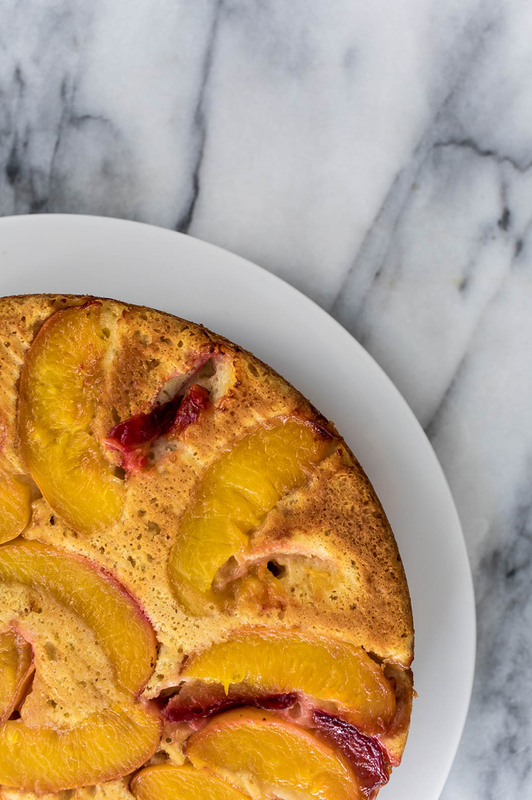 This recipe was adapted from Diethood’s Peach Upside-Down Ricotta Cake. 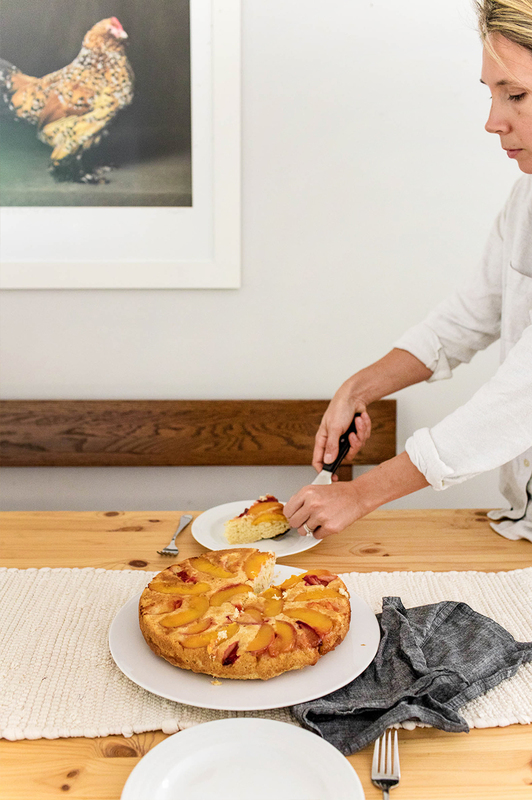 So tell me how you are you using all of the last bits of fruit from summer? 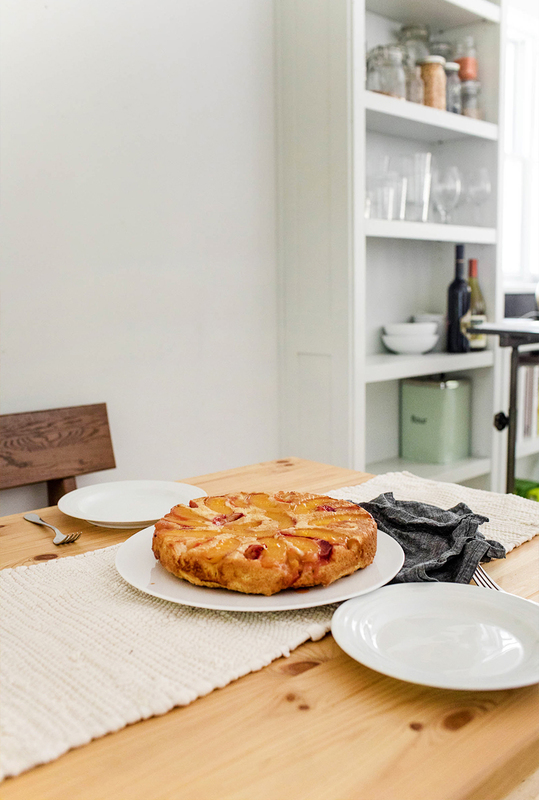 Do you have favorite ways to enjoy them? 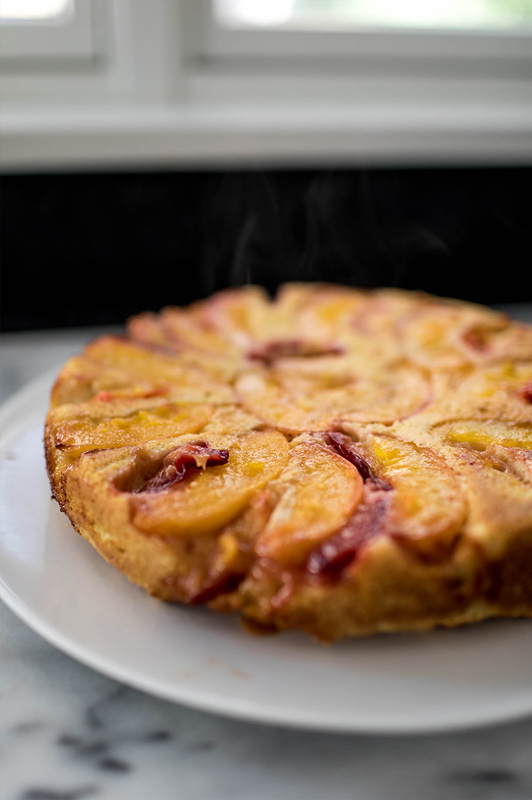 I LOVE PINEAPPLE upside down cake! 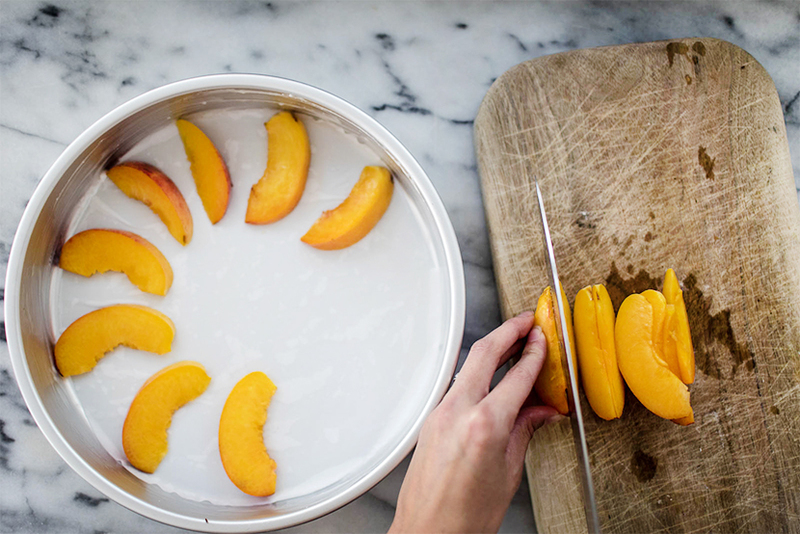 I need to make it with peaches! I have so many of them!! What a great idea! !